Umi is the latest home telepresence system made by Cisco, which uses existing HD TVs and can also work with Google Video Chat. Umi uses a console device, a remote and a camera unit with five microphones, placed on top of the TV. Cisco` Umi does not only allow talking live with each other but it also makes users to show videos recorded earlier. If a user misses a call, the caller can leave a video message that can be retrieved on the TV, a PC or a mobile phone. There is a shutter on the camera for privacy that can be activated, leaving just audio coming from the home. Consumers who don’t have Umi will be able to participate in the video sessions through Google Video Chat on a PC, at a lower level of quality. No other third-party video services are supported at the moment. Umi Console device allow users to zoom in on anything they want to show to the people on the other end of the connection, as well as pan the camera from one side of the room to the other and tilt it up and down. Subscribers can use Umi to record a video either to show later over Umi or to upload to YouTube or Facebook. There is no input for external microphones. Using the Umi remote, subscribers control the service through a “clover” interface with a center box and four surrounding icons representing different commands. 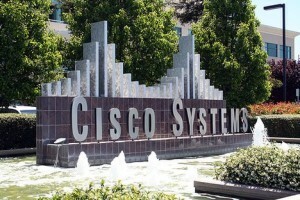 Cisco officials say that in addition to buying the equipment and monthly service, users will need to have a broadband service with at least 1.5M bps (bits per second) both downstream and upstream in order to enjoy Umi. Those speeds will deliver 720p video. For 1080p, users will need 3.5M bps both downstream and upstream. When users first set up the system, they will be assigned a unique six-digit number that can be used by other Umi subscribers to call them. After the initial call, each party can add the other to their contact lists, where each contact can be represented by a profile picture. Umi will cost US$599 for the equipment and $24.99/per month for a service from Cisco. The service will include cloud-based contact lists and stored video. The system can be ordered now and will be available from the 14th of November at the Magnolia high-end electronics stores at Best Buy. Verizon Communications, which has been running trials of the service, will offer it to its home broadband customers early next year. Other vendors like Panasonic and LG Electronics are also lining up to bring videoconferencing to high-definition TVs. At the International Consumer Electronics Show early this year, Panasonic and LG Electronics announced TVs with embedded Skype software. Panasonic’s offering began shipping in May, and LG has said its product would be available by year’s end. Logitech has also recently introduced HD video calling in its newly announced Logitech Revue with Google TV product.